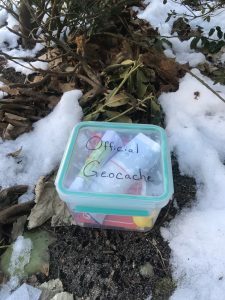 Home / Discover DCLT’s land through Geocaching! Geocachers enjoying a winter’s afternoon at the DCLT’s Old Fort Field Property. 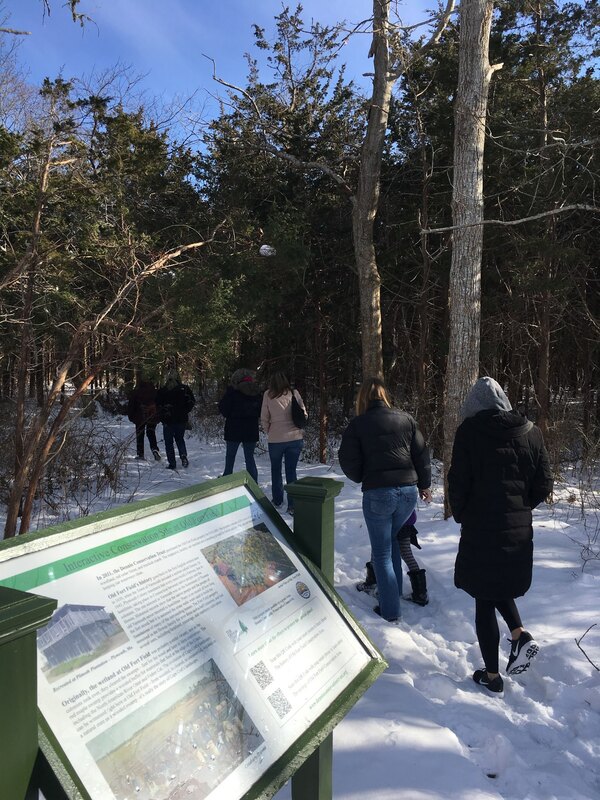 The DCLT is happy to announce that we have hidden 7 geocaches on different DCLT properties throughout the five villages of Dennis. Geocaching is a world-wide, recreational treasure hunt in which anyone can play. It is also is a great way to get outside and explore. To search for our caches, visit Geocaching.com to learn more about geocaching and how to find cache boxes near you. You can use the Geocaching app or a GPS device to navigate your way to these sneakily hidden containers. While out on the hunt, don’t forget to enjoy the natural beauty of the DCLT’s properties. One of the DCLT’s caches you could find! Are you up for the challenge? Let the search begin!